The complexity of the "return." The web retailer Zappos gives you 365 days to return or exchange any item it sells, and applies no additional shipping or restocking fees when you do so. LL Bean allows you to return or exchange any item “at any time” if you are no longer 100 per cent satisfied with it, and it applies only a $6.50 shipping fee for this privilege. 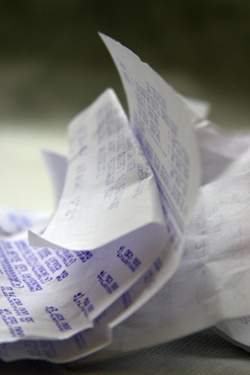 Under such generous, flexible, friction-fee terms, when shipping and restocking fees are eliminated, when return labels are provided beforehand, when receipts aren’t necessarily required for verification, every product a retailer offers essentially becomes a gift card that can be used to purchase any other product in its line.